J0758977K Coolant Bottle Kit, Jeep Cherokee (1987-1990) w/ 6 cyl engine. Includes Bottle and Cap. 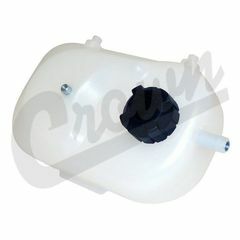 Home > Coolant Bottle Kit, Jeep Cherokee (1987-1990) w/ 6 cyl engine. Includes Bottle and Cap. Coolant Bottle Kit, Jeep Cherokee (1987-1990) w/ 6 cyl engine. Includes Bottle and Cap.